Do you want to start a finance/loan business in India? Then you are at right stage because Nidhi Company is the most easy and affordable way to start loan business in India. It only requires 7 person with easy documents requirement to start the Nidhi Company. The minimum capital requirement for Nidhi Company registration is Rs.5 lakh. Nidhi Company can only do business of accepting deposit and lending money to its members only. It cannot deal with the public directly and can only work with its members. However, one can easily make members under Nidhi Company with few documents and easy process.Also, Nidhi Company registration is the only form of company available to start the loan company in India without RBI approval. Nidhi Company can open three branches after three years of working within the district. Further, to open any branch outside the district, the company shall require RD approval. Furthermore, the Nidhi Company cannot work outside the state. Hence, if you want to expand your business to another state, then you will need to register another Nidhi Company. Also, Hubco.in is specialized company for registering and managing Nidhi Companies in India and manages hundreds of companies across India. We have a top consulting company for starting and managing business in India. To understand the meaning of Nidhi Company in a best possible way, is to understand through its features. Nidhi Company is basically a finance company which can accept deposit from members and lend the same money to its members. Nidhi Company mainly earns through interest on loans and its main expenditure is to pay interest on deposits (FD, RD and savings). Generally, it takes 10 to 15 days to register a Nidhi Company and its cost Rs. 15,999/- (inclusive of all taxes and fees). The complete cost breakup of Nidhi Company registration is as follows;. Nidhi Company Registration process is the simple but will require a professional to complete the same. Further, the procedure has been changed completely by the government to promote ease of doing business. However, instead, government ends up making the process a little complexed. 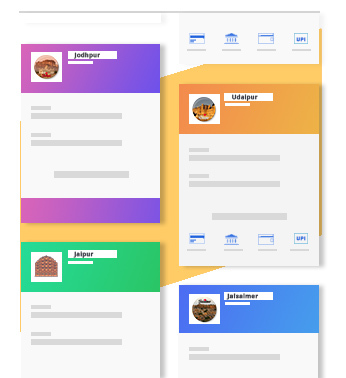 However, Hubco.in is specialized in Nidhi Company Registration with a experience of more than 200 Nidhi Company registration and managing hundreds of Nidhi Company across India. Know all 6 steps in Nidhi Company Registration. Nidhi Company is becoming so much popular among the business man who wants to start the finance or loan business. The main reason behind this fact is the advantage of Nidhi Company to accept deposit from public and to lend money to public (members) without any RBI approval. Let us understand brief about the loan and deposit under Nidhi Company. Nidhi can lend three types of loans; gold loan property loan, others (LIC, FD etc.). 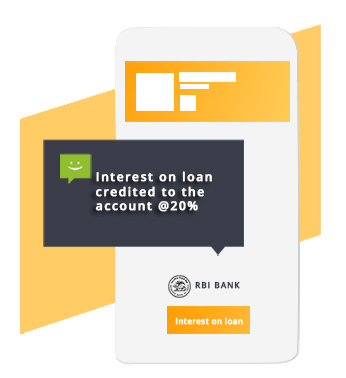 Nidhi cannot engage micro finance business but can lend secured loan @20% interest. Nidhi can take legal action if any member failed to repay any sum of money. 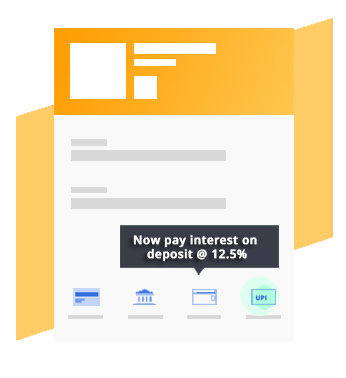 Nidhi can accept three types of deposits; Fixed deposit (FD), recurring deposit (RD) & Savings. Nidhi can pay interest up to 12.5% on FD & RD and 6% on savings accounts. Nidhi can take deposits up to 20 times the funds invested. Invest 5 lakh and accept 1 Cr. 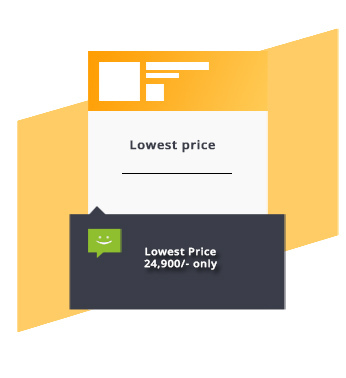 India’s No 1 Nidhi Company Software with a mix of amazing blend of modern technology with fine grift of technical knowledge. 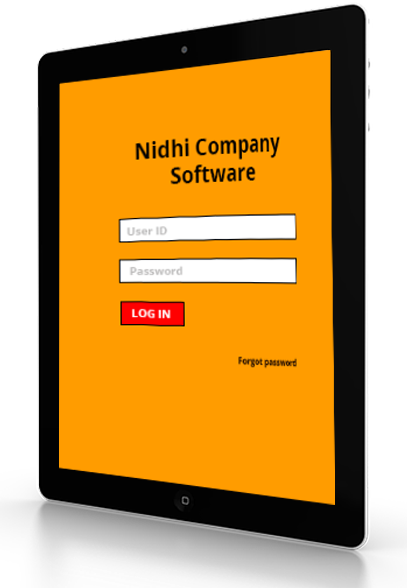 The only Nidhi software to generate and manage share transfer and which is exclusively built for starting and managing Nidhi Companies in India. There are basically three pillars to the compliances of Nidhi Company in India and all the reporting revolves around it. Here are three pillars to the Nidhi Company compliances explained briefly. NDH - 1 is an yearly statement filed with the ROC in terms of Nidhi Rules. IF this return is not filed timely, then you will loose the Nidhi Company status from the central government. NDH - 3 is an half yearly return filed in order to check whether the Nidhi company is working as per the rules or not. This return is to be filed by 30th September and 31st March each year. Advices given on Nidhi and NBFC’s queries. Do you know that a Nidhi Company does not require any RBI approval to get registered in India? Yes, it is true. You can register a Nidhi Company in India without any RBI approval. There is no RBI requirement for Nidhi Company. Actually, Nidhi Company has been exempted by the RBI from its core provisions and hence, it does not require RBI license, no 2 crore capital requirement and many more. Hence, Nidhi Company is said to be one of the best way to start the finance business in India. As said, the RBI does not govern the Nidhi Companies rather it is being governed by the central government through Nidhi rules, 2014. Nidhi rules laid down the complete set of code or rules according to which every Nidhi Company should work. Nidhi Company does not require any other approval from any state authority to work as it is being already permitted by Central Government in terms of Nidhi Rules, 2014. Nidhi Company rules, 2014 contain almost 24 rules describing the loan, deposits, Compliances, branches etc about the Nidhi Company. Hence, if you are looking to start a Nidhi Company in India, then it is recommended to read all the Nidhi rules, 2014 properly. 1. What is the meaning of Nidhi in Hindi? The real meaning of Nidhi in Hindi is treasure. The word Nidhi is also used to name girls in India. It is said that the girl named with Nidhi possesses a treasure of knowledge and wealth. In legal terms, there is no official definition of Nidhi and hence we borrow the general meaning of Nidhi which means treasure. 2. What is the RBI requirement for Nidhi Company? Nidhi Company is one of the forms of Non Banking Financial Company (NBFC) which do NOT require RBI approval. The Nidhi Company has been exempted by the Reserve Bank of India (RBI) from taking the registration. Further, there is no required for keeping the minimum capital at Rs.2 crore to start the Nidhi Company in India. 3. What do you mean by Nidhi Company rules? Nidhi Company is not governed by the RBI but by the central government and hence the central government has introduced the Nidhi Company rules 2014 in order to better govern the company in a more transparent manner. 4. Can a Nidhi Company do microfinance business? 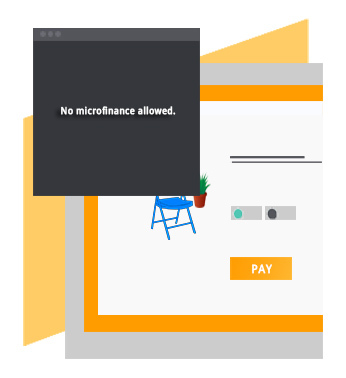 No, Nidhi Company is not allowed to do microfinance business in India. These are because micro finance is a completely different set of business for an NBFC and require more capital to do the same. Hence, Nidhi Company cannot engage itself into micro finance business. Further, since Nidhi Company raise fund from deposits and hence, if it passes the same to member without any security, then there will be great chances of customer default which will ultimately results into bankruptcy of the Nidhi Company. 5. Does Nidhi Company require any NBFC license from RBI? 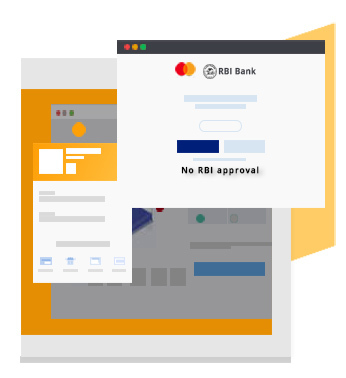 No, Nidhi Company does not require any RBI license to start the business in India; this is because Nidhi Company has been exempted by the RBI from its core provisions and hence, there is no RBI requirement for Nidhi Company registration in India. 6. How many branches a Nidhi Company can open? A Nidhi Company can open up to 3 branches after three years of continuous profit running of the business. Further, these three branches can be opened within the district only. Further, to open any branch outside the district, you will require the Regional Director (RD) permission. Also, a Nidhi Company cannot open a branch outside the state. 7. What are the top Nidhi Companies in India? 8. Is it mandatory to have Nidhi Company software installed? No, it is not mandatory to have Nidhi Company software to run your finance business. However, if you want to run the business properly, then you shall require the Nidhi Company software. Nidhi Company main business is to accept deposits and lend money to its members and so calculation of interest etc requires typical calculations and hence, it is advised to use Nidhi Company software for proper and efficient working. Mutual Benefit Company is nothing but a Nidhi Company. Mutual benefit is the previous name of the Nidhi Company. After 2013, it was made mandatory to use the name of Nidhi Limited instead of Mutual benefit for registration of Nidhi Company in India. 10. What is the maximum amount of deposits a Nidhi Company can take? A Nidhi Company is allowed to take the maximum of 20 times the net owned fund. Net owned fund means the total fund invested by the owner less any accumulated loss. For example, if you have invested Rs.1 crore, then you are entitled to raise funds up to Rs.20 Crore.